March 31, 2019 – the new completion date for the CJIA Expansion Project. The government is assuring that the works to modernise the Cheddi Jagan International Airport are moving apace and will be completed by March 31. However, Minister of Public Infrastructure, David Patterson has disclosed that the government’s contract with China Harbour Engineering Company Ltd (CHEC) will not be extended. The initial deadline of the CJIA Expansion Project was December 31st 2018, and according to Minister Patterson, the government will hold the Chinese firm to this deadline. Minister of Public Infrastructure, David Patterson speaks with CJIA CEO, Ramesh Geer during a tour of the CJIA Expansion Project. Minister of Public Infrastructure, David Patterson tours CJIA Expansion Project. “We have not granted an extension of time after December 31st 2018, in our opinion, we felt that the contractor did not have adequate resources coming on to the end to ensure that he meets his contractual obligations” … So, there are penalties in the contract, we are in the penalty phase, so it is the contractor’s obligation to finish the project,” Minister. Patterson explained. The Minister took the media on a tour of the CJIA Expansion Project earlier on Monday. He says 92 percent of the work has been completed thus far. “The contractor has submitted a revised schedule” … He said he will be finished by March 31, 2019, we have noted that, and that is how we will proceed” noted Minister Patterson. Outstanding works to be completed include the South West Runway Extension pavement works and sections of the Departure Terminal; namely Immigration, Security Screening, and Duty-Free concessions areas. Meanwhile, of the 328 persons working on the project, 208 are Guyanese. This represents 63 percent. The contract had an agreement of a minimum of 40 percent Guyanese labour. In 2011, the former PPP administration, who was in government at that time, and China Harbour Engineering Company (CHEC) inked a $31.2Billion (US$150M) contract for the CJIA expansion. Work on the runway, which began in 2013, resumed in late 2016 after the loan was restructured under the Coalition government. 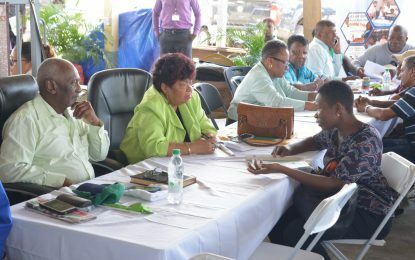 An additional sum of $86M was provided to enable the construction of an access road to CJIA and a number of works proposed for the CJIA roundabout due to larger turning radius and cost associated with removal of utilities by Guyana Water Incorporated (GWI) and the Guyana Telephone Telegraph (GTT). More funding was approved, during the 98th Sitting of the National Assembly, last year. More than $280M was green-lighted to facilitate payment for consultancy service on the project due to the delays in the construction contract. 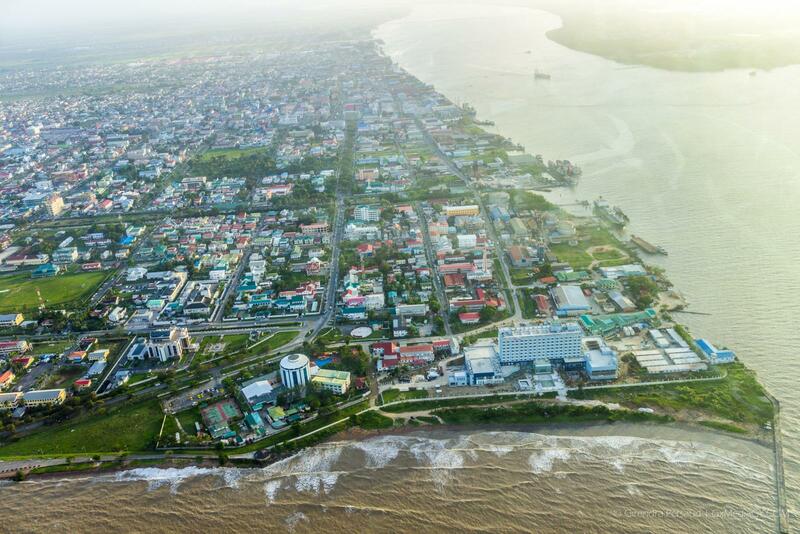 Images: Jules Gibson, Guyana Chronicle.